For information about Areas I-IV, visit the University of Alabama registrar’s office website or STARS website. Because Area V requirements are set at the college or departmental level, you must consult the college in which your major, program, or elective is based to determine course equivalencies.  This website covers Area V requirements for majors, programs, and electives offered within the College of Arts and Sciences; for other subjects, visit the UA registrar’s transfer credit website. In addition to the Area V requirements (linked below), students must complete the writing requirement and the computer/foreign language requirement. Six semester hours in 300- and 400-level courses, preferably in the student’s major, approved for the writing (W) designation. The (W) designation indicates that one of the conditions for a passing grade is that students write coherent, logical, carefully edited prose in a minimum of two papers, at least one of which will be graded and returned before mid-semester. All (W) designated courses are taught and graded by instructors who have at least the master’s degree and preferably are limited to an enrollment of no more than 35 students. The (W) requirement must be satisfied with courses taken on the University of Alabama campus. Six semester hours in courses that are approved for the computer (C) designation. Such courses assume a working knowledge of the computer. Two semesters in one foreign language (FL). Students must earn grades of “C” or higher in the first course of the two-semester sequence before enrolling in the second course. Students with two or more high school units of a foreign language are assigned to foreign language courses on the basis of placement test scores. Students placed into intensive elementary review or intermediate courses satisfy the FL requirement in one semester.